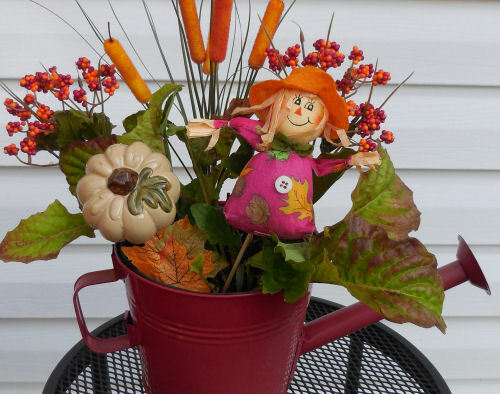 Watering cans make great planters and garden decor items. The size is perfect and the opening can be used for a plant or cut flowers. 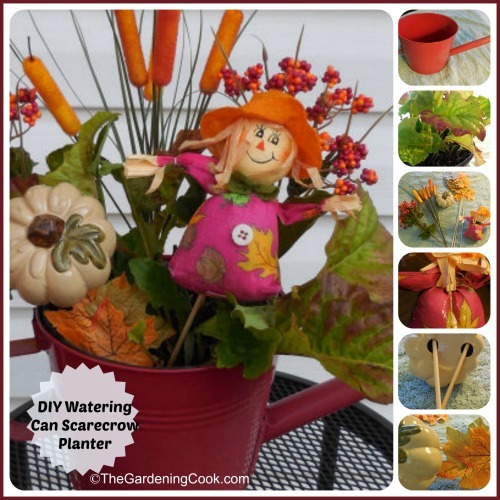 Today, I am putting one to use in a scarecrow watering can planter that is just perfect for fall. One of my favorite things to do when I am at home improvement stores is to see what is down at the back of the plant aisles, almost dead, and on sale. I usually can find something that I think I’ll be able to bring back to life. 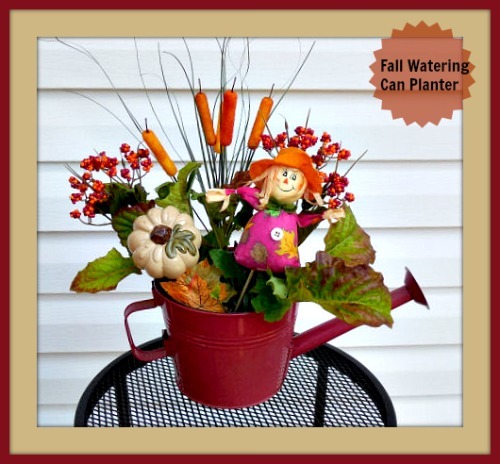 This pretty watering can project looks great on a patio occasional table. It is recycled from a cast off plant that I got from Lowe’s in their mark down center. Today’s find was a Shasta daisy plant in a neat little watering can. Perfect for fall. 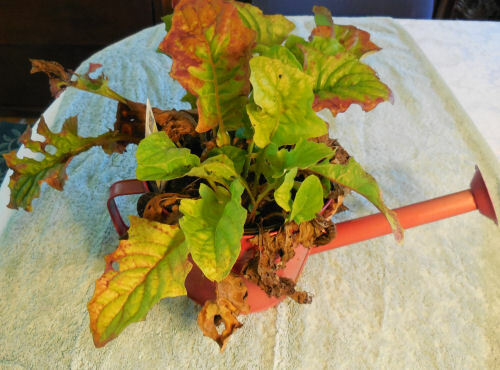 I was not sure whether the plant would survive but that didn’t matter since I loved the planter and it was so inexpensive! 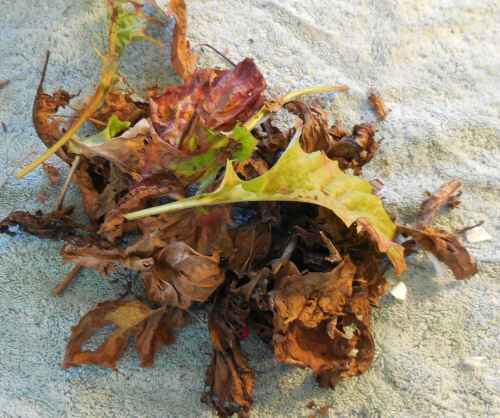 I removed all the totally dead leaves and left some of the ones with brownish edges, because I wanted the color variation. 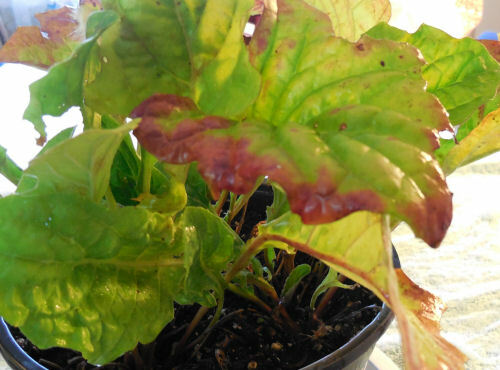 Then I gave the plant a really good watering. There are plenty of small new green shoots, so I think the plant will be fine, but basically I just wanted it as a base for the project, so it will be a bonus if it does. I got a lot of debris out of the plant. No wonder they marked it down! These are my supplies, all purchased at a local Dollar Store for one buck each. 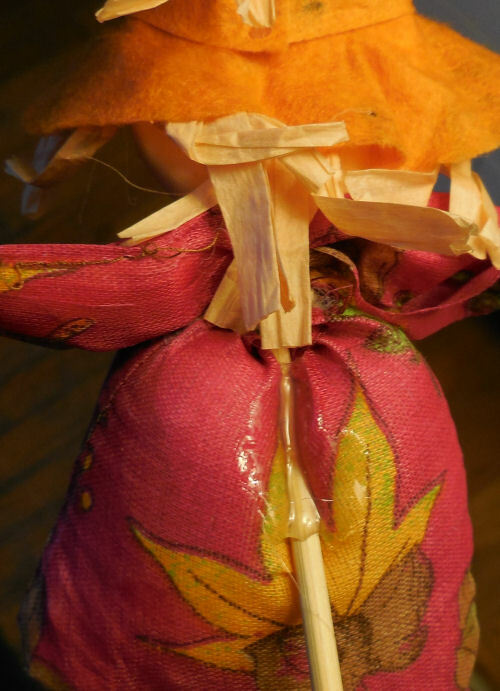 First, I took a bamboo skewer and poked it up into the little scarecrow and then secured it with hot glue. 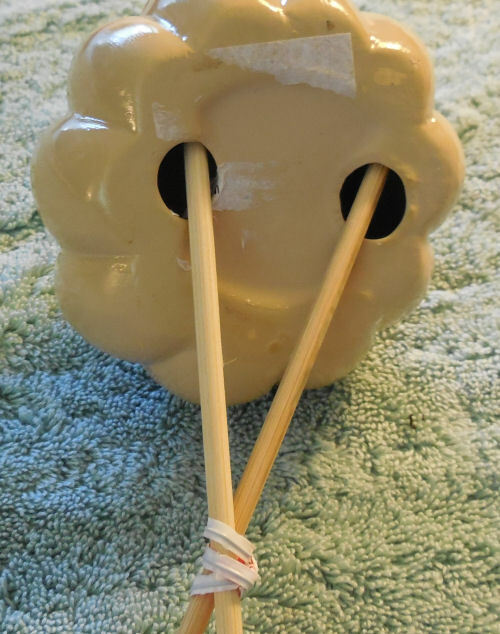 The ceramic pumpkin had a couple of holes in the bottom, so I poked skewers into those and secured them with a twist tie and hot glued them in place. 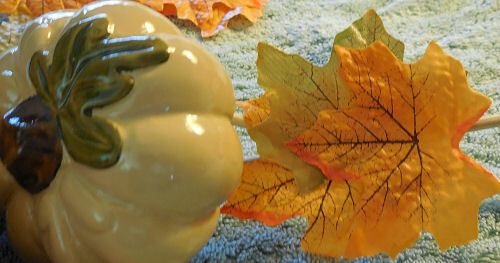 I did not want them showing on the front, so I attached a few fall leaves to the twist tie area. 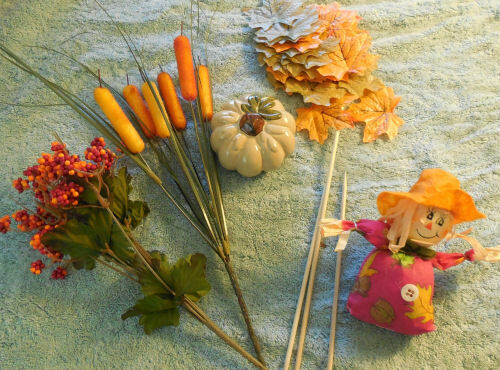 The cats tails and berries are in the back ground and the pumpkin and little scare crow sit front and center. This was a fun project that was quick and easy to do and cost me $10 and hopefully I’ll have a plant next year too! 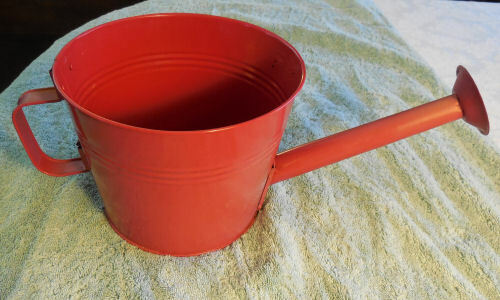 The watering can can be used over and over. What a bargain! Do you like to shop the almost dead aisle at Lowe’s? What bargains have you discovered there?